Powder coated quality steel components with plastic cap on top. Rotating anvil for permanent stapling and pinning. Anti-skid base for convenient desktop use. 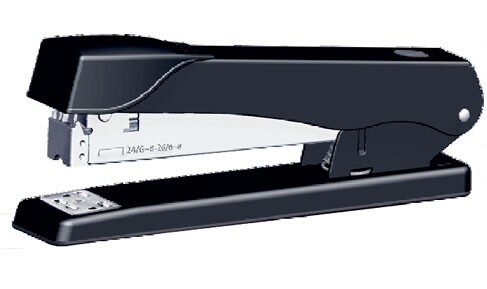 High loading capacity for time-saving stapling work. One strip having No.24/6-24-8,26/6-26-8 can be loaded at once. Indicate maximum insertion paper depth. The base length of depth is 105mm and breadth is 180mm.